On rare occasions we have to cancel an announced course due to lack of participants. 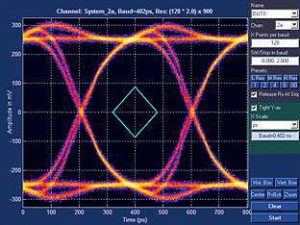 This is the case with the scheduled Munich course in Signal Integrity with Hands-On Simulation next week. Sad, but not all bad. We have the exact same course running in Ringwood outside London the following week on Apr 25-27. Go there instead and we will all have more fun. And – this is the best part – we have just confirmed that the SI Week in Copenhagen is running for sure. Lee Ritchey is coming to Denmark for what may actually be the last course in Denmark. Yes… for various reasons, this summer may be the last chance to meet Lee in Denmark and learn from his wealth of experience with electronic design. If you want to get a glimpse of what that includes, read this short piece from his recent course in South Africa. Serious about FPGA design? Don’t forget verification! This course aims to significantly reduce the verification time while at the same time improving the product quality. 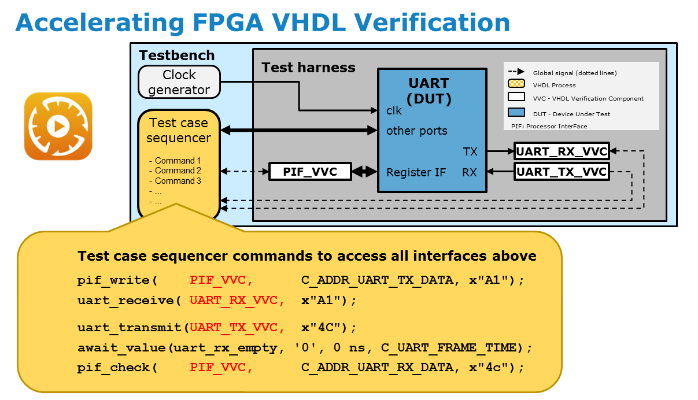 This is not only possible, – but in fact easily achievable in almost every FPGA development project. All it takes is a bit more structure in your verification environment. No expensive tools, and no expensive IP, – just a better verification approach. Simplicity and abstraction: It must be easy to control DUT stimuli and check DUT outputs – in most cases also for simultaneously active interfaces. Extendability and Maintainability: As specifications often changes, and as you want to have concurrent design and verification – it must be easy to modify test cases and add new tests and functionality. Reuse: Efficient reuse within a single project is important between module TBs and from module TBs to an FPGA TB. Efficient reuse between projects would then just be a free bonus. It is pretty obvious that the issues above are critical for both efficiency and quality. The good thing is that you get both efficiency and quality at the same time. The bad thing is that the huge majority of testbenches are not even close to these targets. So – the challenge is how to achieve this – and that is what this course is all about. The course will explain what is needed as a general approach to make structured TBs that do actually meet all these targets. UVVM is free and open source – and will be used to show practical examples. The course will also show how you can build your own BFMs, Verification components, test sequencer commands, etc. For registration and more information please go to Bitvis. Eric Bogatin talks about S-Parameters. This link is only good for so long, unless you are a member of the SI club Eric runs. Those of you, who participated in the courses we arranged with Eric in Copenhagen and Stockholm should have access. And not only to this video, but to a bunch of other videos including a few other talks from DesignCon. Sign up for SI Week in Copenhagen, May 23-27, 2016. And do so this month and you will save big. We just updated all the descriptions of the Lee Ritchey courses in the Copenhagen SI Week coming up in May. Now you actually get the best content of 3 different courses merged into the two courses. All very important stuff if you are serious about designing boards for modern (digital) electronics. A good chunk of the previously separate “Very High Speed” course on managing high speed differential data paths to 32+ GBps is now merged into the 3|4-day Signal Integrity course we run Mon-Wed/Thu. And the Stackup Design course is improved with more important information learned from the latest test boards. So, please review the updated descriptions. And sign up – or get your best colleagues signed up asap! SI Week 2016 – Time to Sign Up! We are proud to host the full SI Week 2016 in Copenhagen for the first time. A full week of signal integrity training at the best level possible. A huge success in Stockholm for the last 3 years. Lee Ritchey is coming from California to do a new and revised version of the fundamental and essential signal integrity course all hardware engineers should go trough at least once. This time around the content has been extended to include the essentials to build differential links up to and beyond 32 Gbps. And a revised version of his PCB Stackup Design course is on Friday. This course is based on a bunch of new information gained from building custom test boards to learn things the hard way. Get data here, that you can not get any other way, to save tons of time. On Thursday we do the hands-on simulation course, where you learn how to do practical simulations efficiently and without overdoing simulations. So right now it’s time to sign up. So please do that ASAP. We have an early bird discount going until Mar 1st… So it even pays to act now! We are happy to have so many good partners/sponsors for the SI Week 2015, May 18-22 in Stockholm. The partners are essential to make an event like this possible. We do not receive any kick-back from the partners, and they provide valuable marketing for the event. Also they supplement your experience as a participant. Here is the list – click any logo to go to their website. 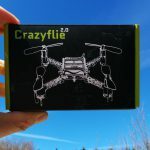 Worth mentioning is Bitcraze, a small Swedish company, who donated a very cool DIY drone called the Crazyflie 2.0 as a giveaway. 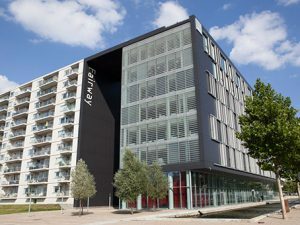 Keysight who will hold a one hour morning seminar (8:00-9:00) on the Wednesday about their simulation tools (ADS) and who will be sponsoring the lunch on Wednesday as well. Polar Instruments is active Tuesday morning (8:00-9:00) with a demo of their PCB impedance calculator tool and the proud sponsor of an extra nice lunch on that day. Triacon will be serving sandwiches after the course on Tuesday and demo their JTAG test system. Cadence distributor Gateline will be there on Monday after the course with beer and sandwiches + a quick demo of their signal integrity simulation software. On Thursday, Gateline will be providing licenses for the simulation day – this is a great opportunity to learn simulation on a very practical level. All these extra sponsor activities are completely voluntary, and all can participate as they wish. We got another cool drone, the Crazyflie 2.0 from the nice folks at Bitcrazy that we will be giving away at the unique 3-day course by Lee Ritchay: Signal Integrity in Stockholm May 18-20, 2015. This is really a flying eval kit. On the board you will find an nRF51822 Cortex M0 (32 MHz) with the Bluetooth low-energy radio and a STM32F405 Cortex M4 (168MHz). 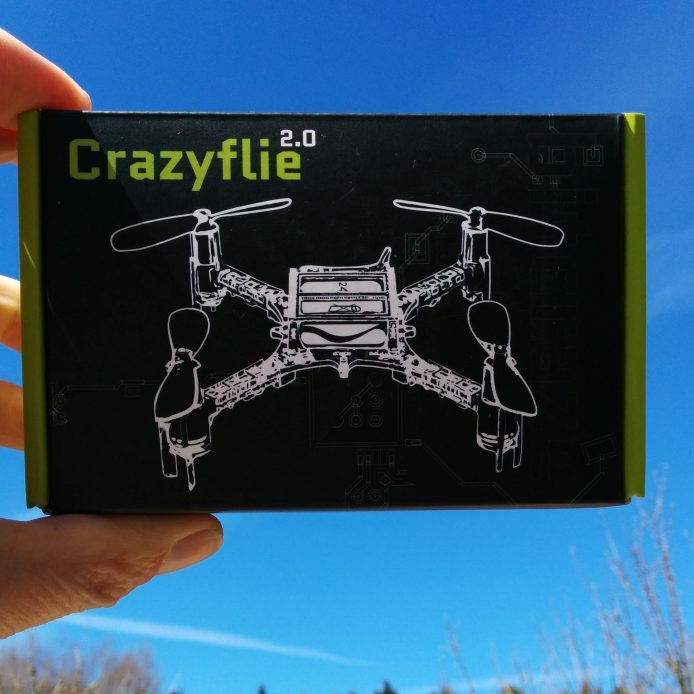 Apart from the obvious, there is a full 10DOF accelerometer, gyro, magnetometer and pressure sensor. For debug and charging you have a full speed USB connector. Lots of fun for the nerd in you. And it’s a great course that we are so proud to offer. Lee Ritchey is the best when it comes to giving solid advice backed in real measurements and tests. Don’t miss it. Lee Ritchey: Signal Integrity – Read more and sign up. Today! Today is the last chance to save 10% on your signup to Stockholm SI Week in May. The brand new “Lee Ritchey: Very High Speed” course on designing solid differential interconnects up to 32 GBps on regular PCB. This course builds on results from several test boards and experience from some of the first movers in Silicon Valley. If you have never experienced SI Week or the courses by Lee Ritchey, that in itself is a good reason to go to Stockholm this May. Lee is both a very good presenter with tons of experience teaching and practicing signal integrity. He is also a very interesting person that you can’t help but like. More active than most folks his age and with a very good sense of humor. The 3 day course “Lee Ritchey: Signal Integrity” is a classic, and if you take only one course in signal integrity – this should be the one. Also consider the extended 4-day “PLUS” version, where we add one full day of hands-on simulation. At 10am Pacific Time (19:00 in Copnhagen), Lee Ritchey will be on a 1h free and live webcast titled “PCB Materials, Simulations, and Measurements for 32 Gb/s”. The two other speakers are Heidi Barnes og Keysight (former Agilent) and Alfred Neves of Wild River Technology. Breaking the 32 Gb/s barrier for printed circuit board (PCB) channels requires a strong understanding of PCB stack-up design, simulation methods, and measurement techniques. How a PCB fabrication document calls out the materials, such as fiber weave and surface roughness, is critical to high speed performance. Accuracies of channel performance time and frequency domain simulations at the higher data rates require knowledge of as-fabricated material properties and tolerances. Design and measurement of test structures to validate the PCB stack-up performance require custom fixtures and implementation of high frequency calibration techniques, such as fixture removal. Understanding the basic flow and interaction of stack-up design, simulation, and measurement is critical for leverage of existing low cost PCB manufacturing technology for repeatable design performance. This webcast brings together experts in each of these three areas to demonstrate the basic flow of successful stack-up design with robust correlation between measurements and simulations at 32 Gb/s and beyond. 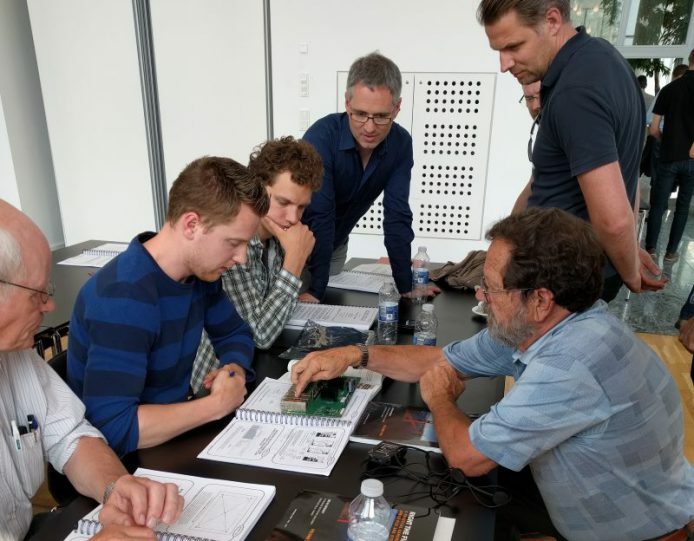 We are lucky to have Lee Ritchey coming to Stockholm this May to do a brand new full day course on this subject – on top of his regular 3-day signal-integrity course. That is all part of the Stockholm SI Week 2015 – Sign-up is open now! See you there.